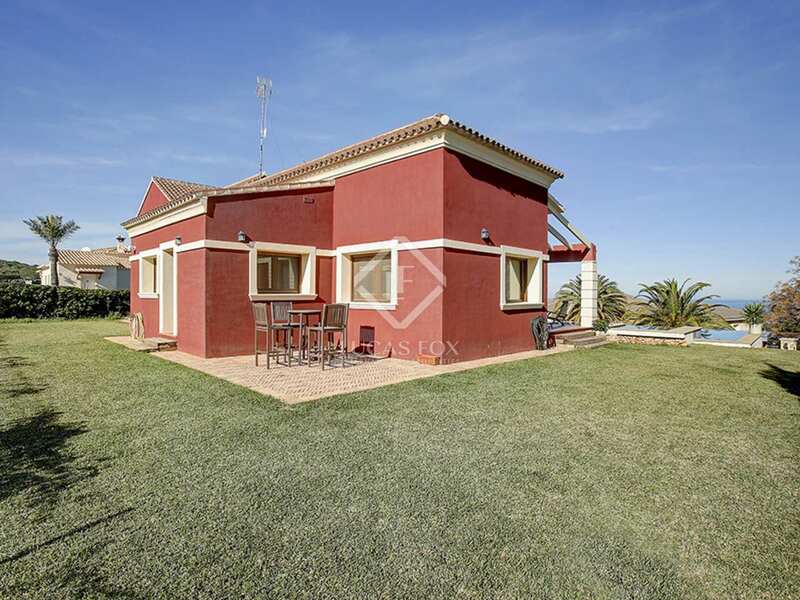 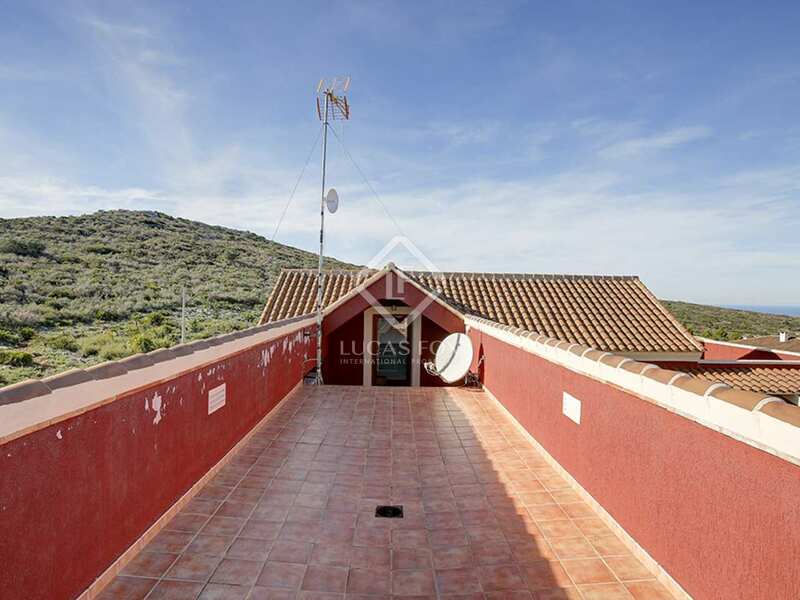 4-bedroom villa in excellent condition with a garden, pool and panoramic sea and mountain views, for sale in Dénia. 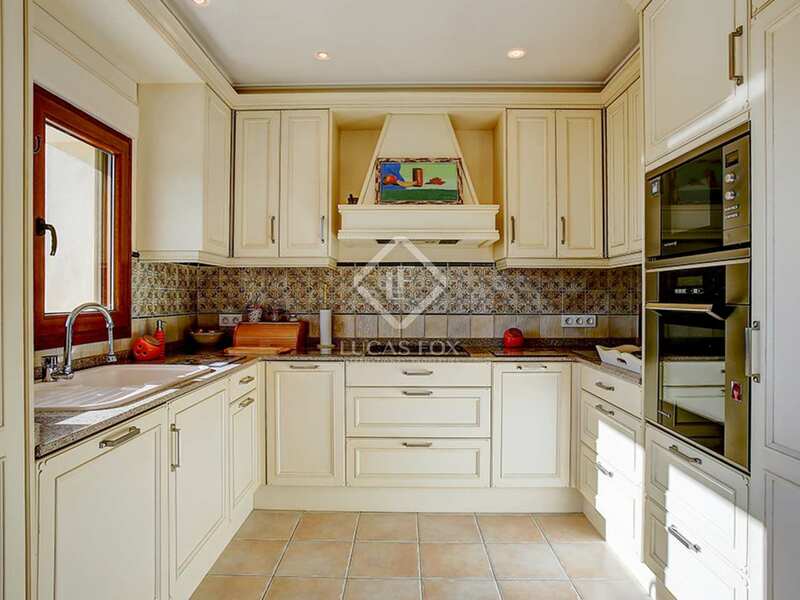 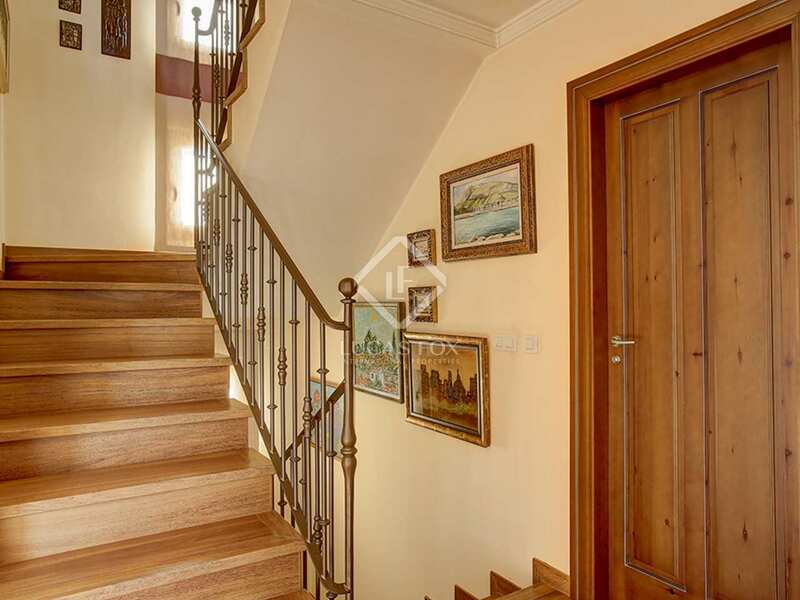 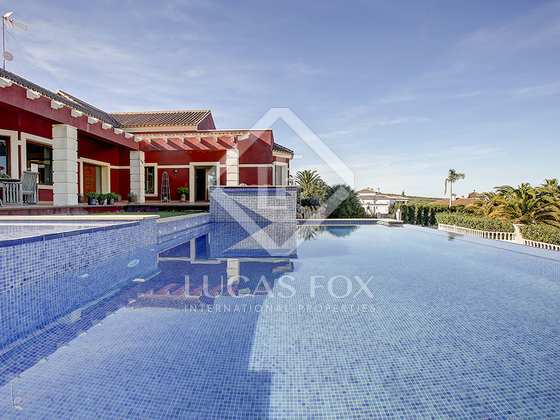 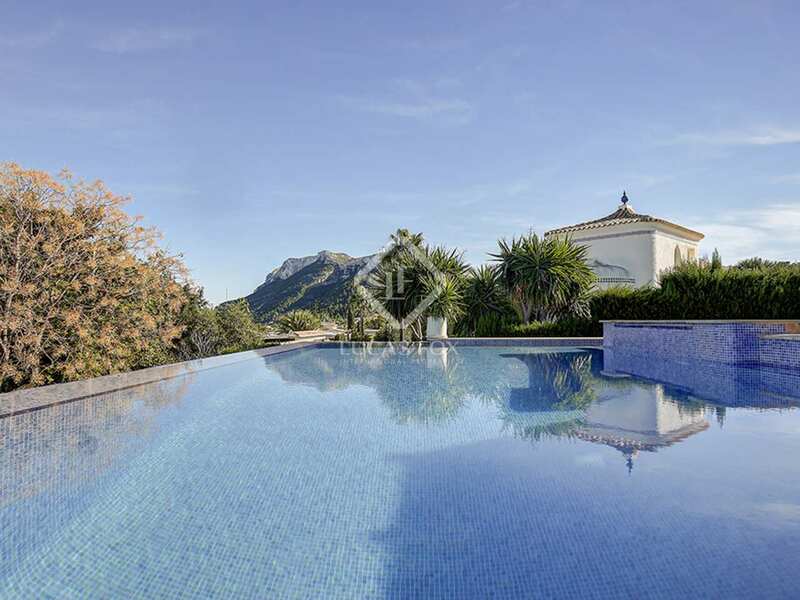 This beautiful villa, measuring 373 m² and with a 590 m² garden, was renovated in 2010 and offers exceptional panoramic sea and mountain views in a peaceful, private setting. The house is distributed across 3 floors. 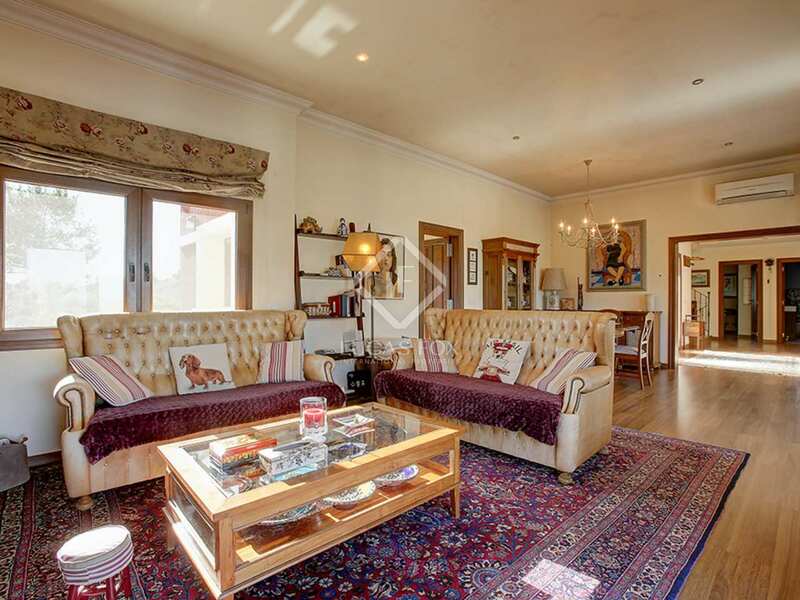 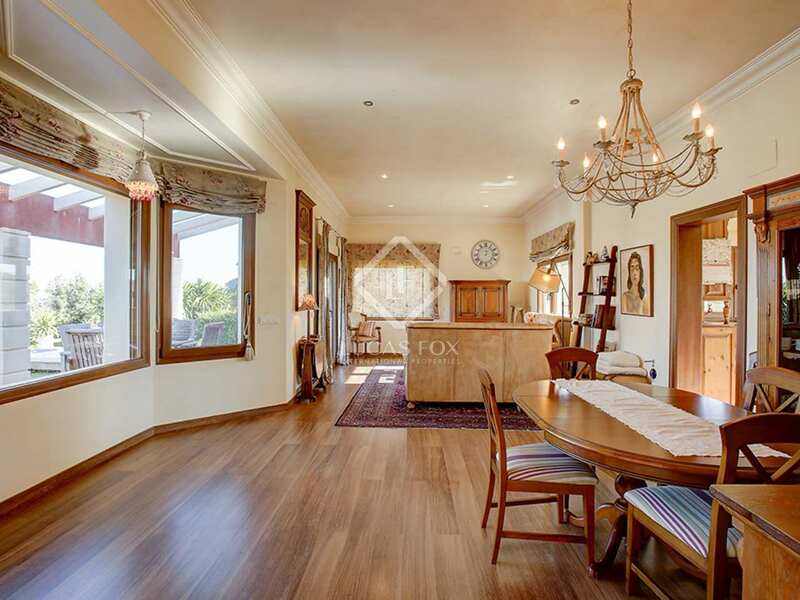 The main floor has a living room with 2 different areas and a fireplace which creates a warm and welcoming ambience. 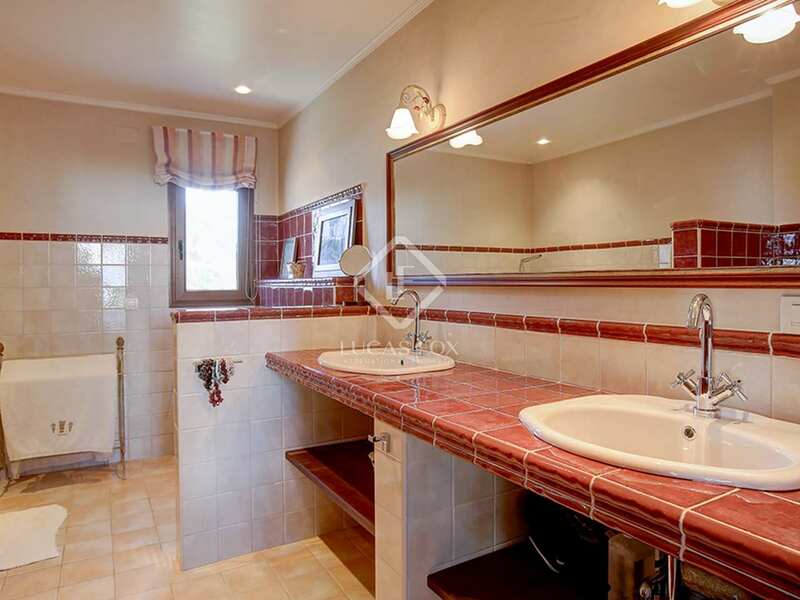 This floor also has a bathroom, an independent kitchen and two bedrooms with dressing rooms, one of which has a private bathroom. 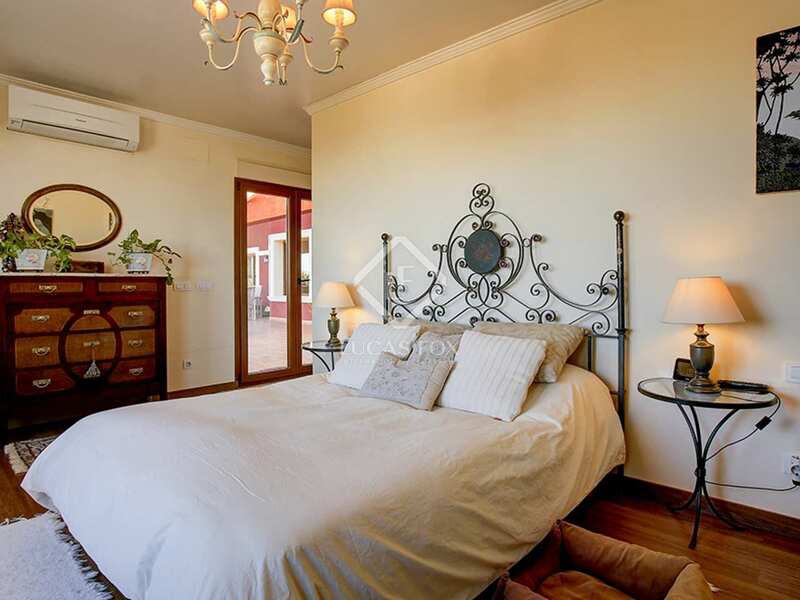 The bedrooms overlook the porch, from where you can enjoy excellent views across the garden and the pool. 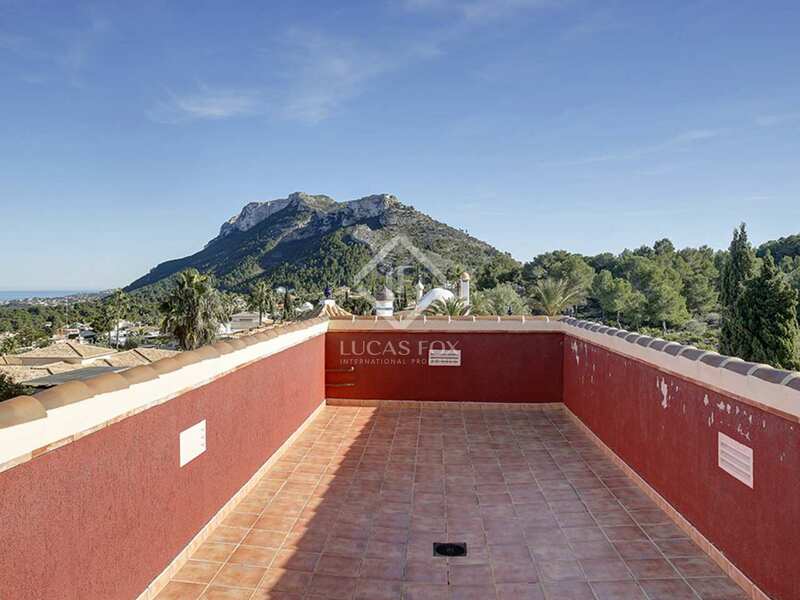 The upper floor has a bedroom with a private bathroom and access to a covered terrace, plus another room ideal for use as a study, there is also a solarium. 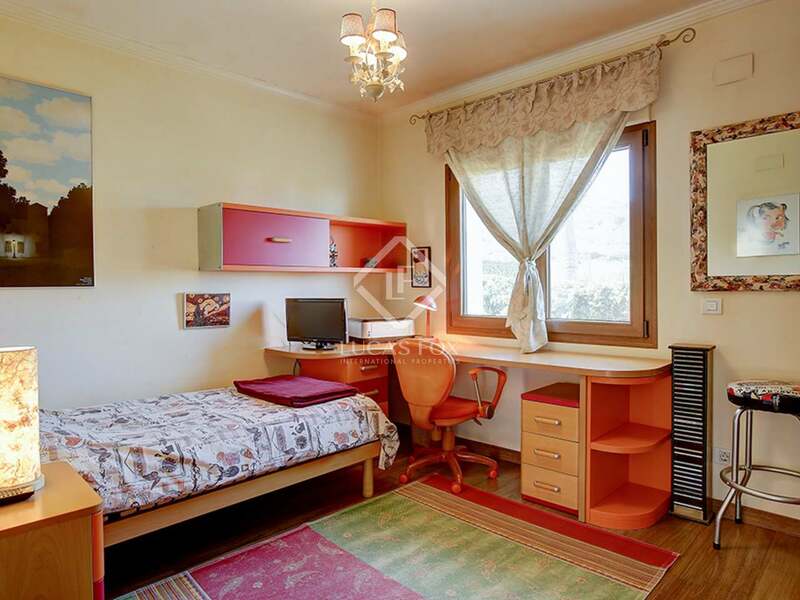 In the basement there is a private garage, a laundry room, and two air-conditioned spaces that could be used as a communal area or as guest accomodation. 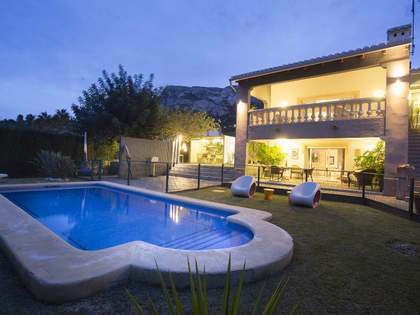 The garden has a swimming pool and a chill-out area and a barbecue, perfect for entertaining friends and family. 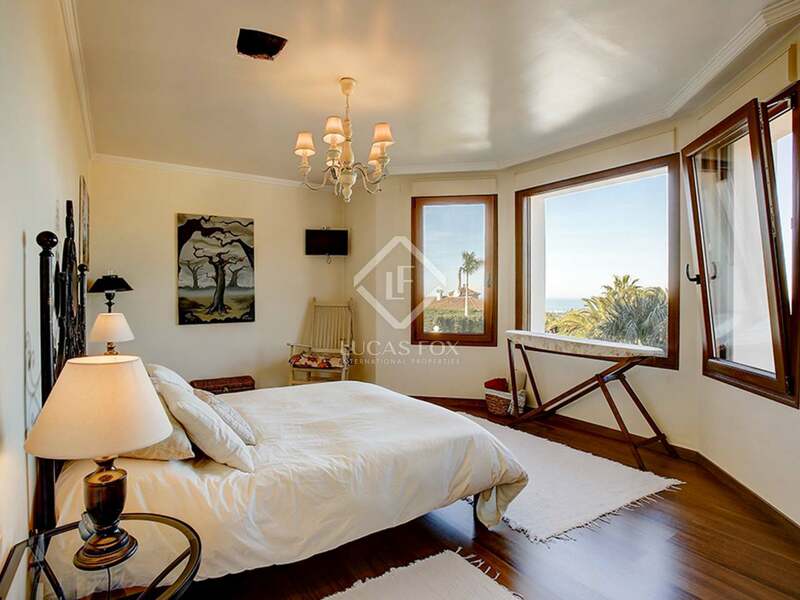 There is underfloor heating and air conditioning for year-round comfort. 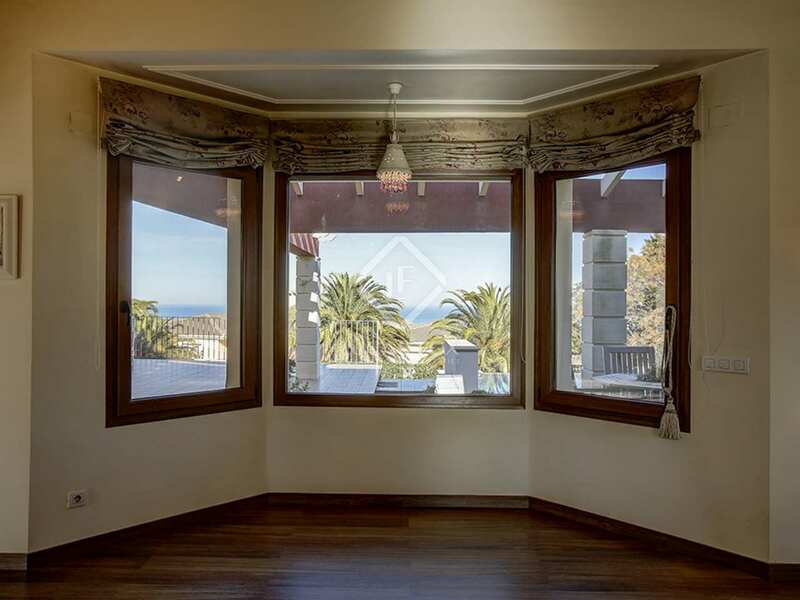 The windows are double glazed and there are solar panels. 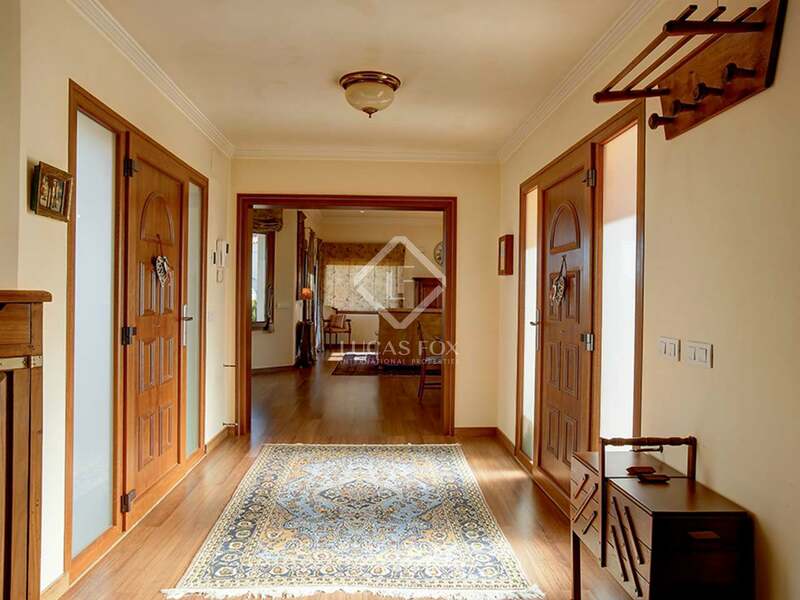 The house is equipped with an alarm system to ensure your safety and a home automation system. 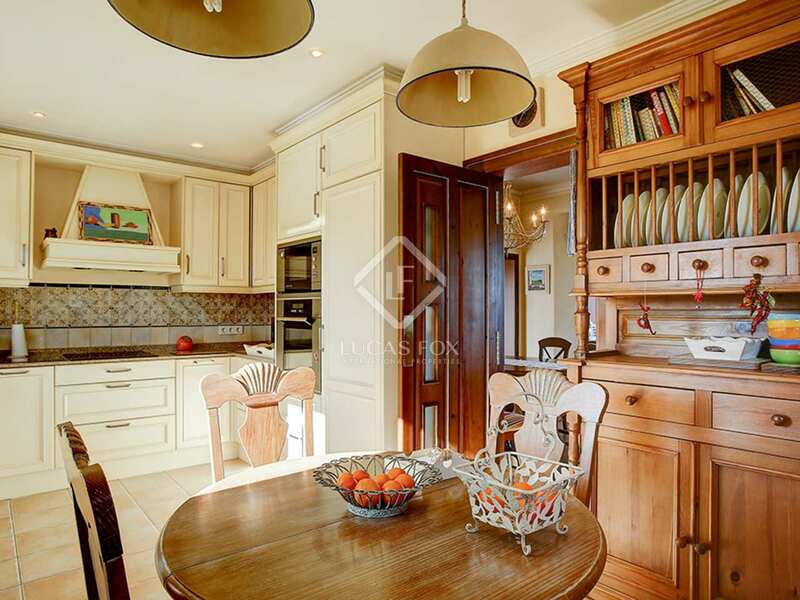 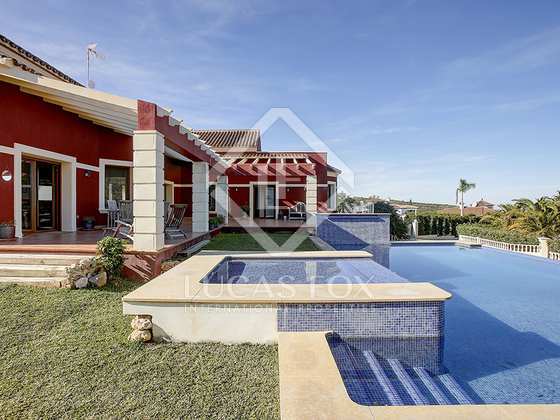 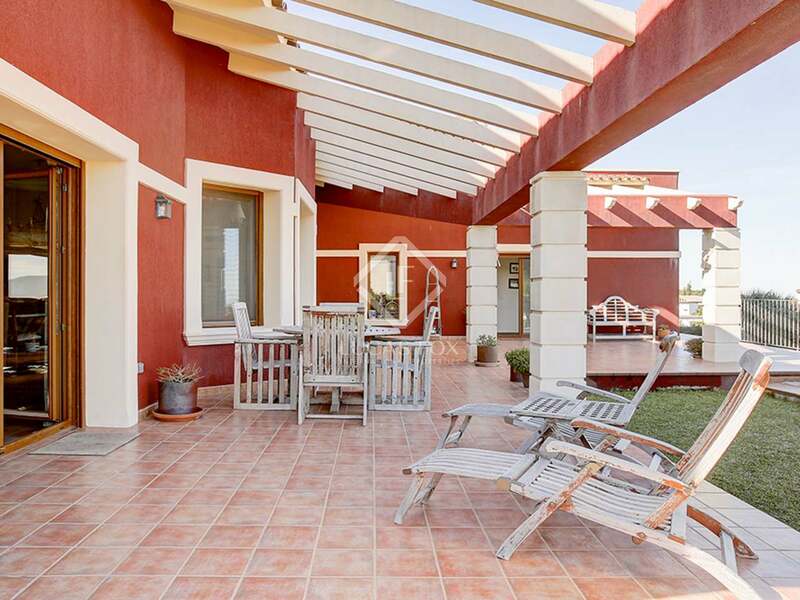 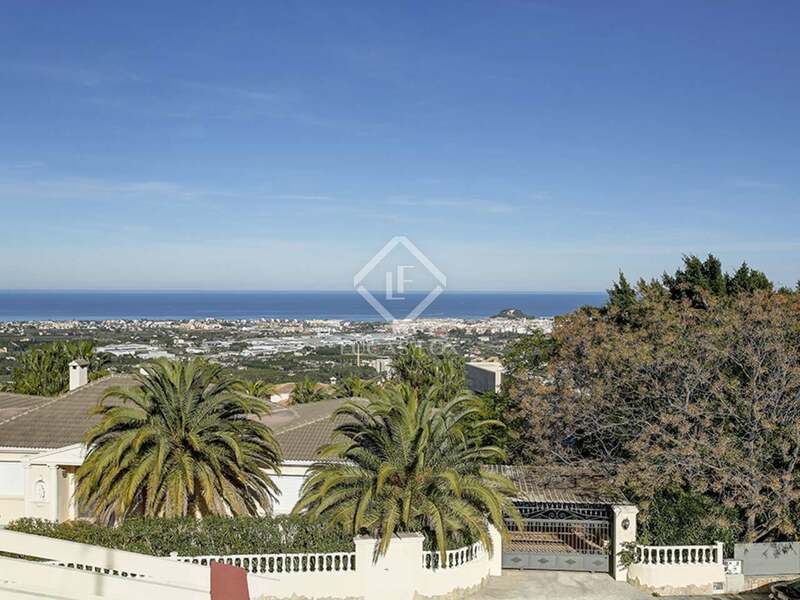 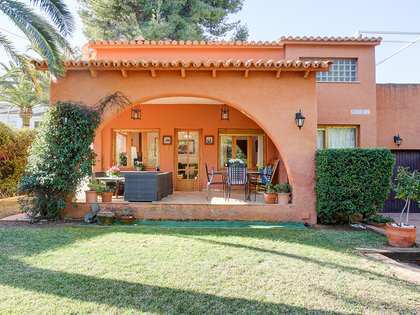 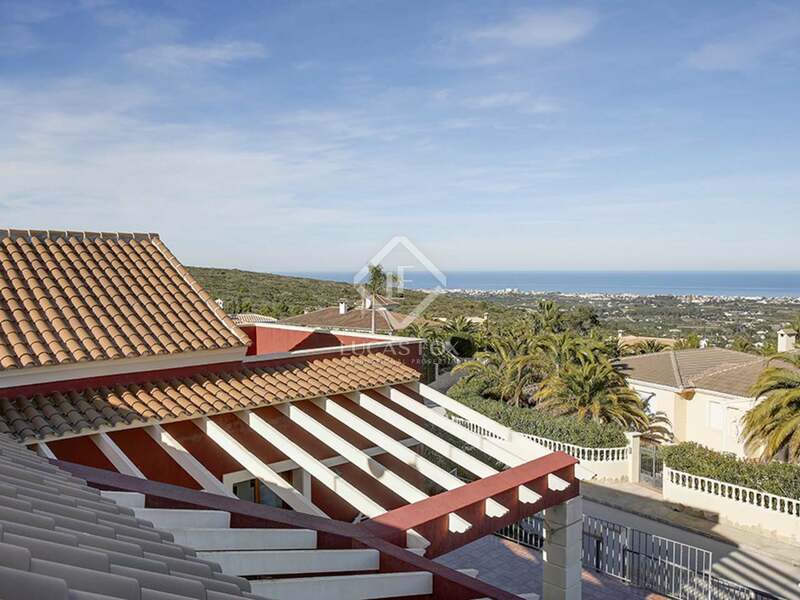 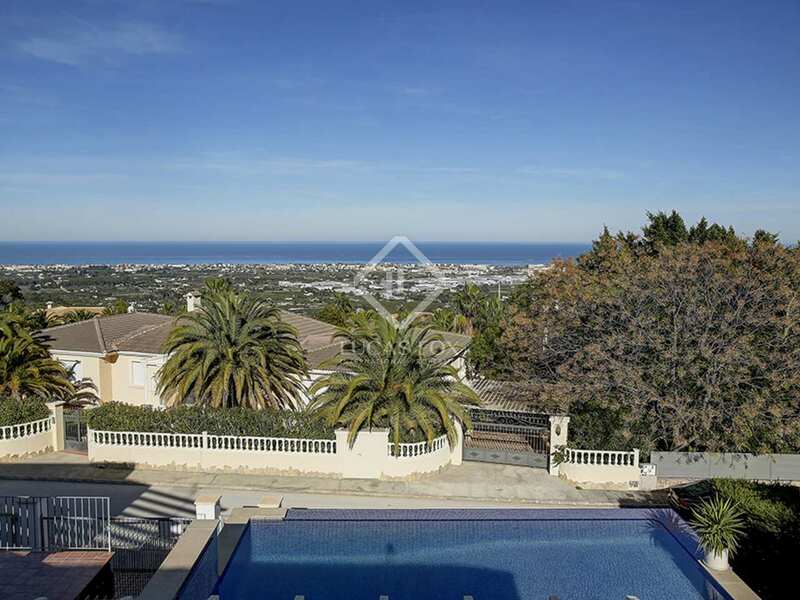 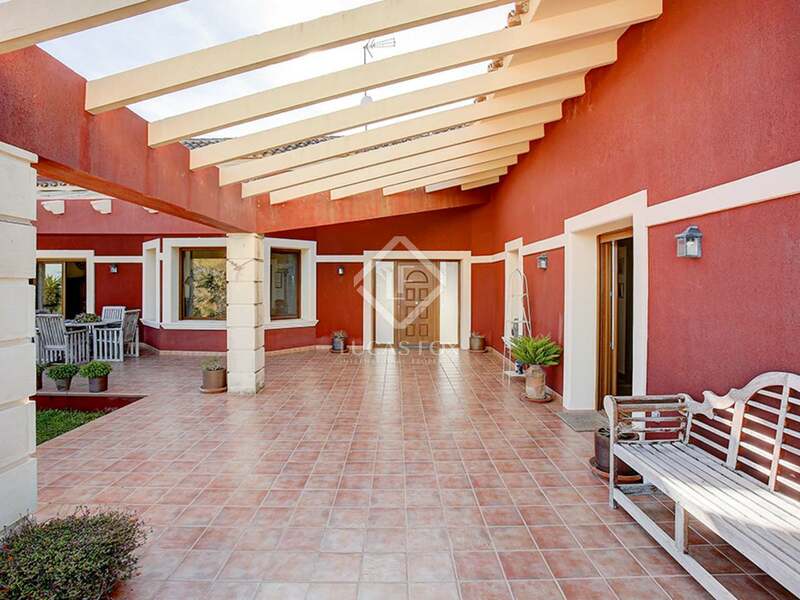 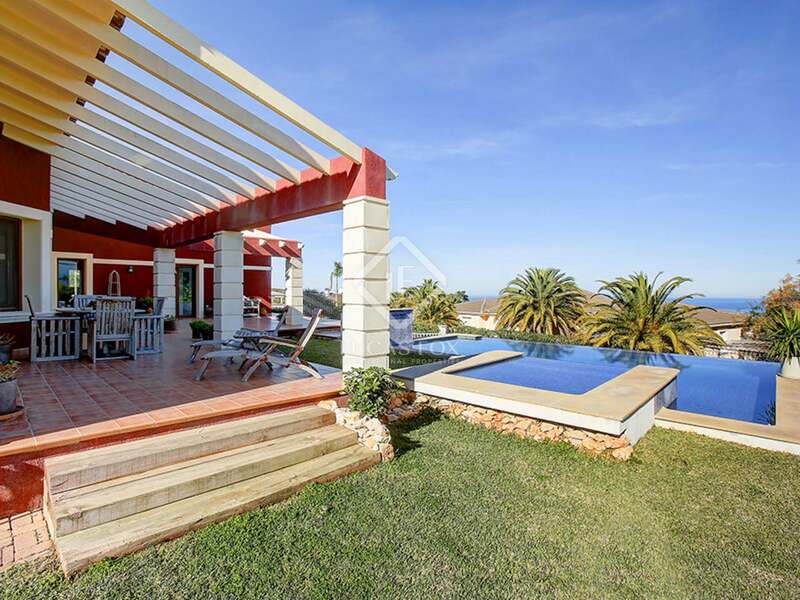 Contact us if you would like to visit this magnificent home for sale in Dénia. 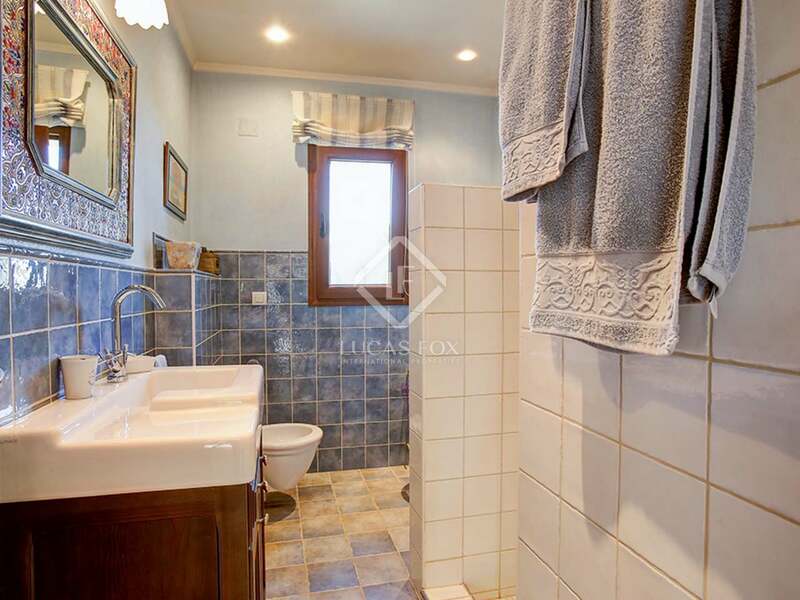 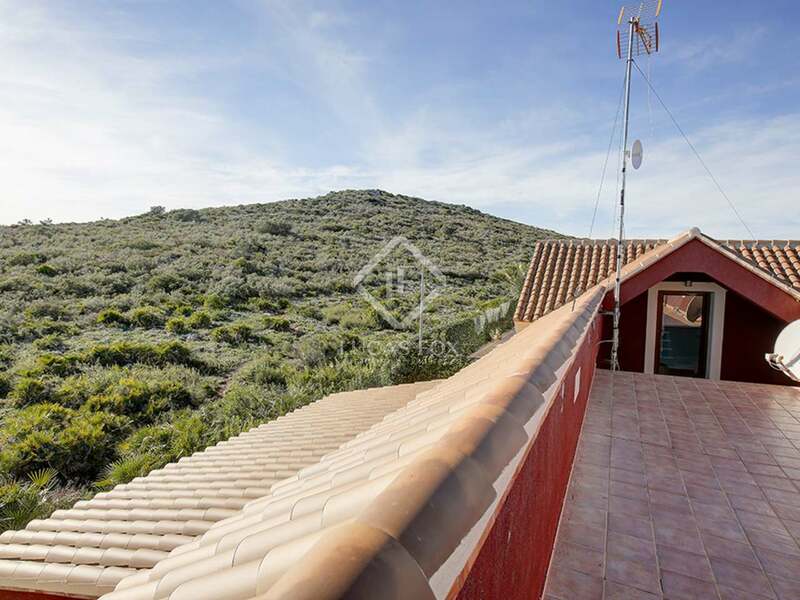 Property located in the Marquesa, the highest part of ​​the Montgó. 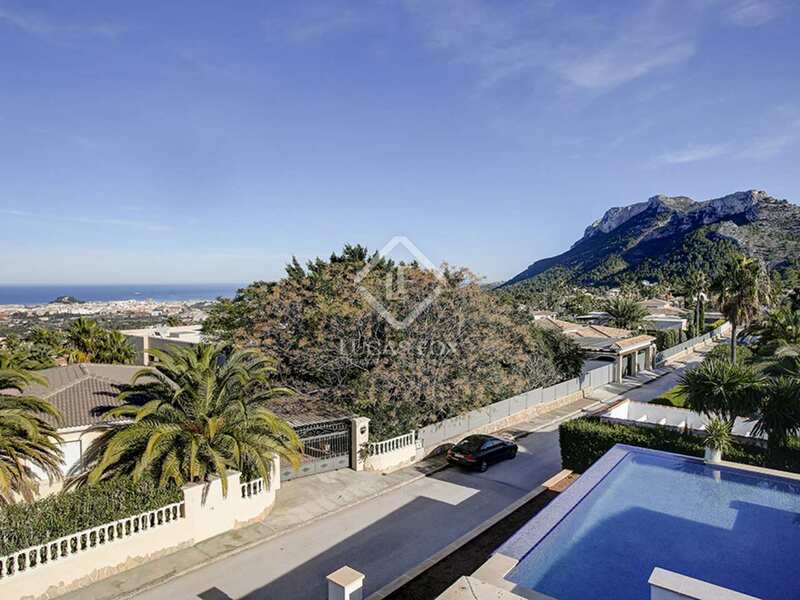 It is one of the most prestigious residential areas around with long days of sunshine and lots of privacy. 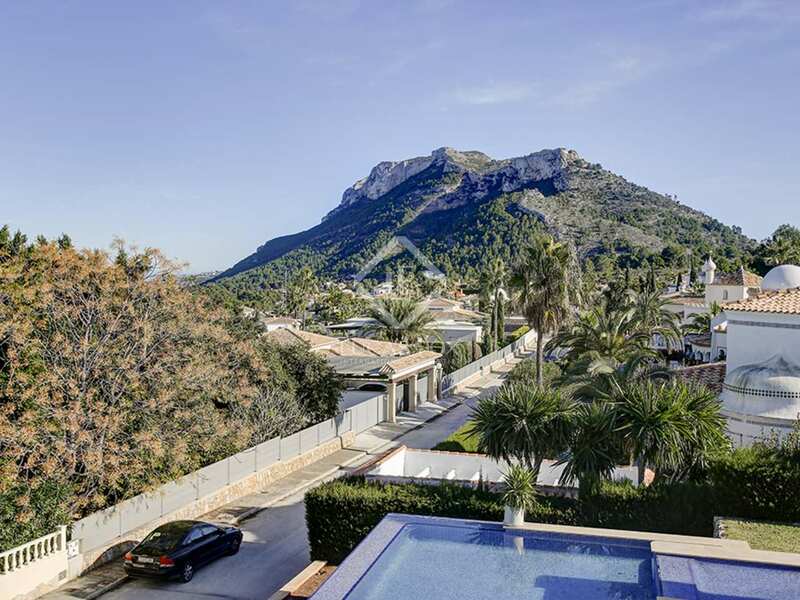 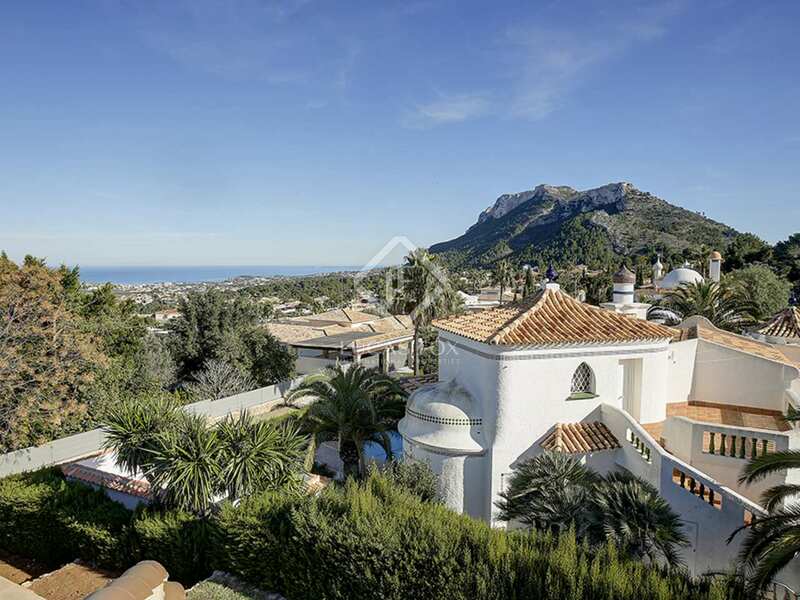 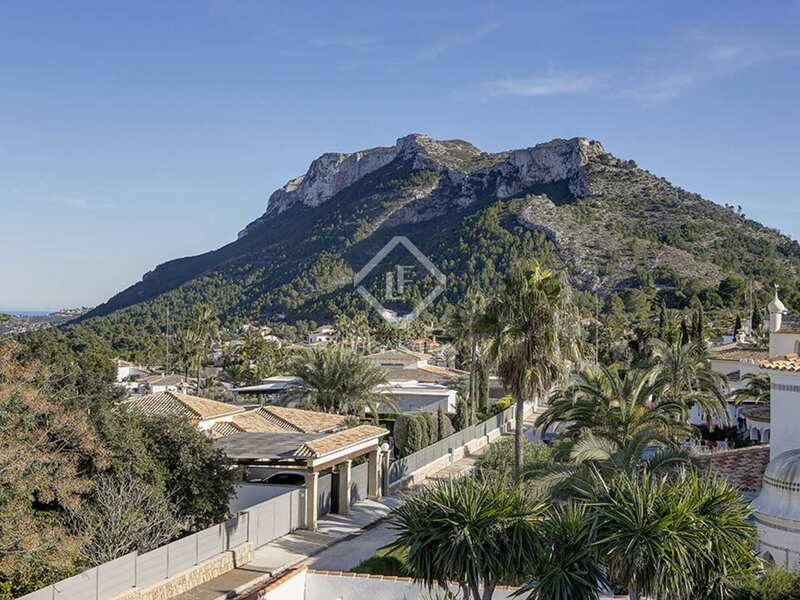 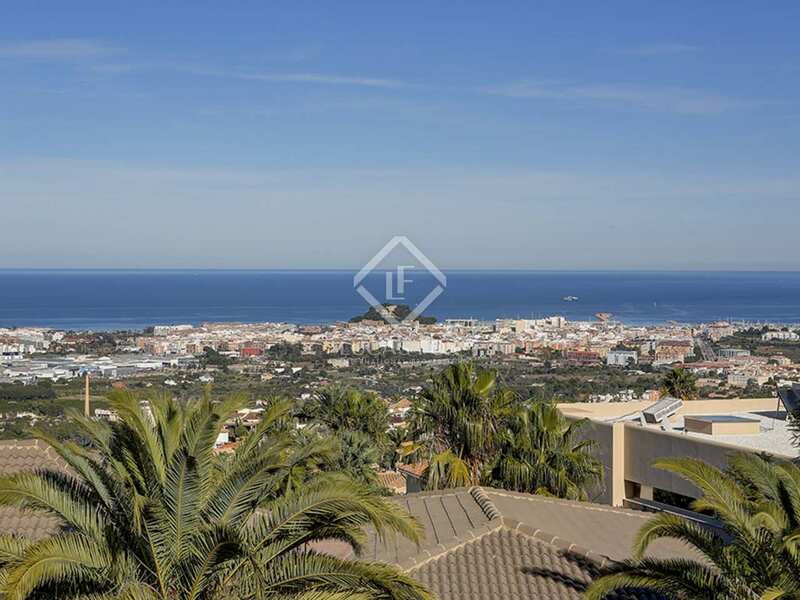 The location stands out for its peaceful surroundings and, above all, for the excellent panoramic views of the sea and the surrounding mountains, including Montgó. 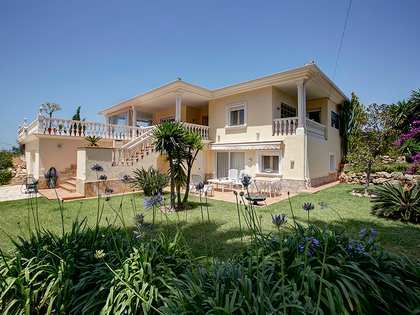 The area is surrounded by a natural park and is only 4.5 km away from the beach and all kinds of services.